'Two!' A mystery hacker is taking down computers all over Duckburg-and One, Donald's supersmart electronic brain, is slowly turning malevolent! 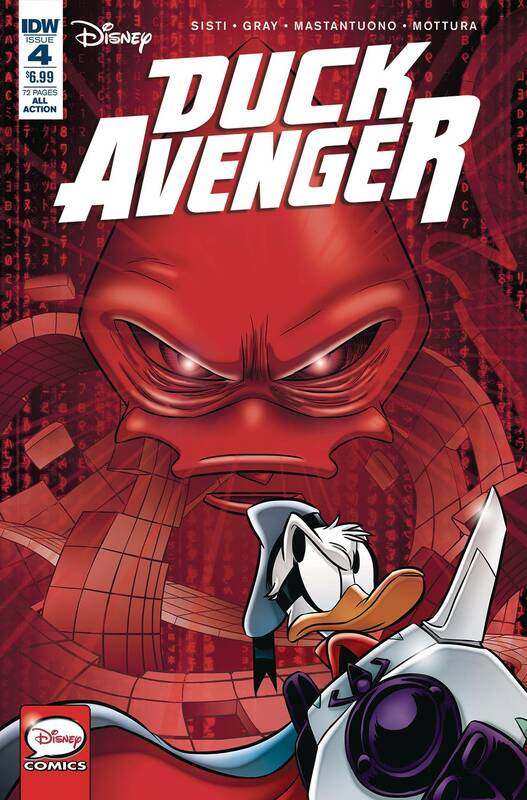 More of the new-to-USA Disney adventure that fans want most-the famous 'Duck Avenger New Adventures' (known in Europe as 'PKNA')! Adapted for our readers by fan favorite Jonathan Gray (Sonic the Hedgehog)!